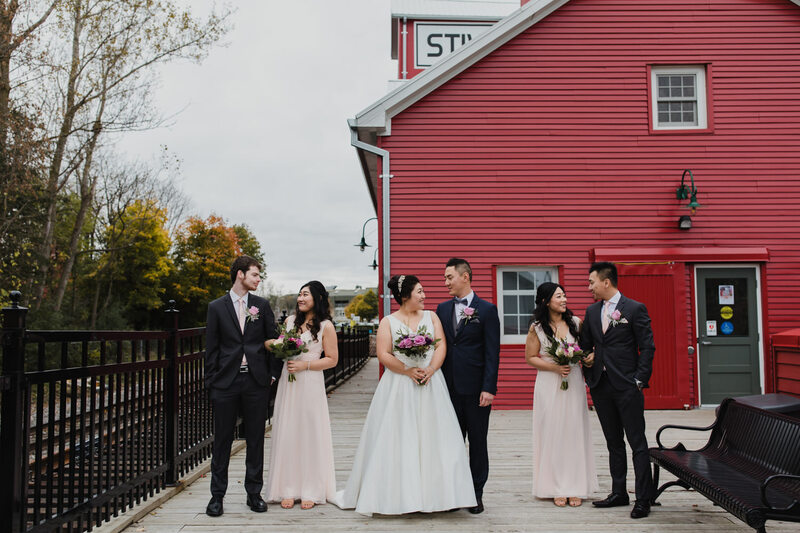 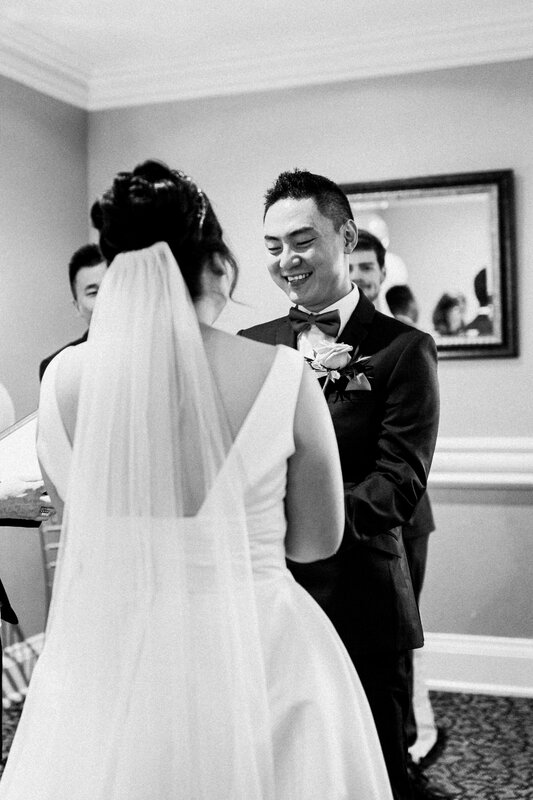 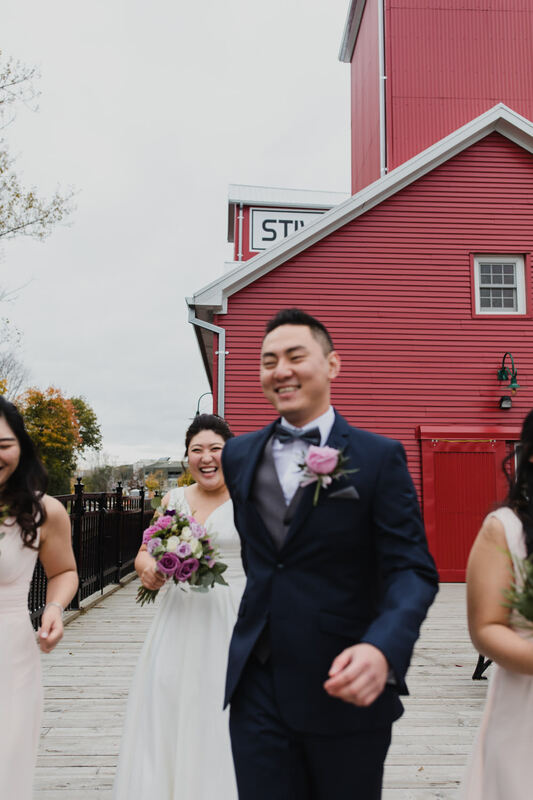 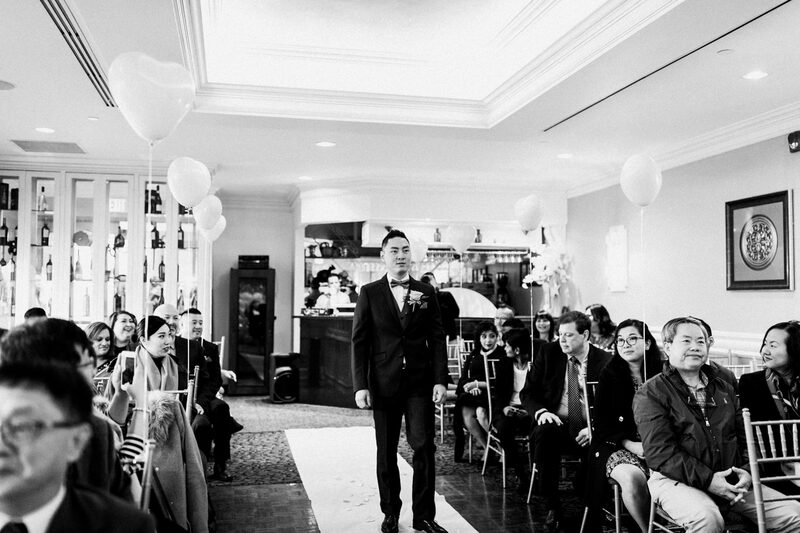 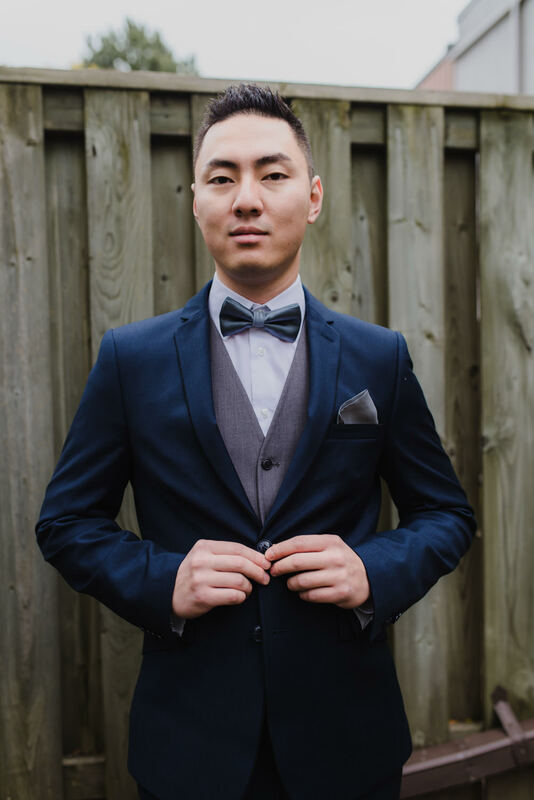 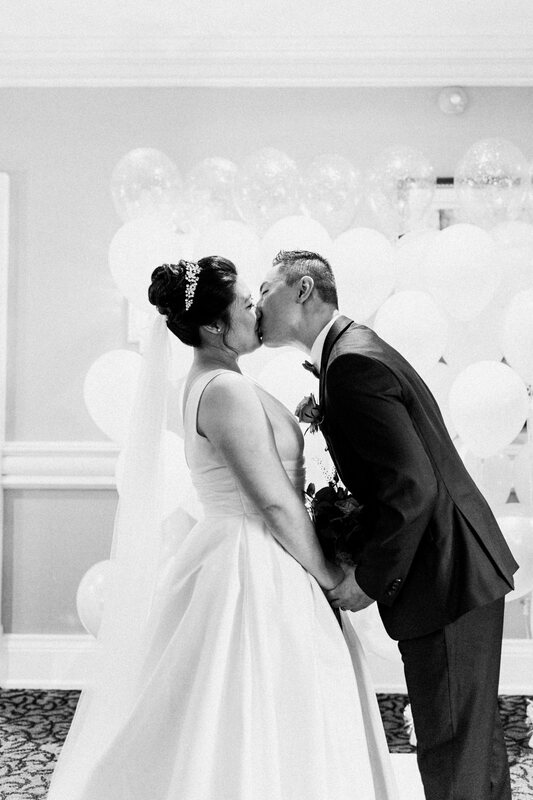 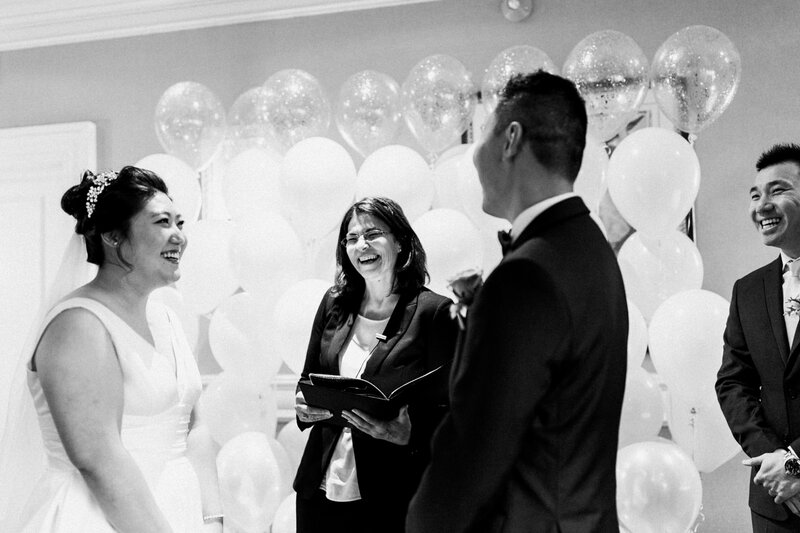 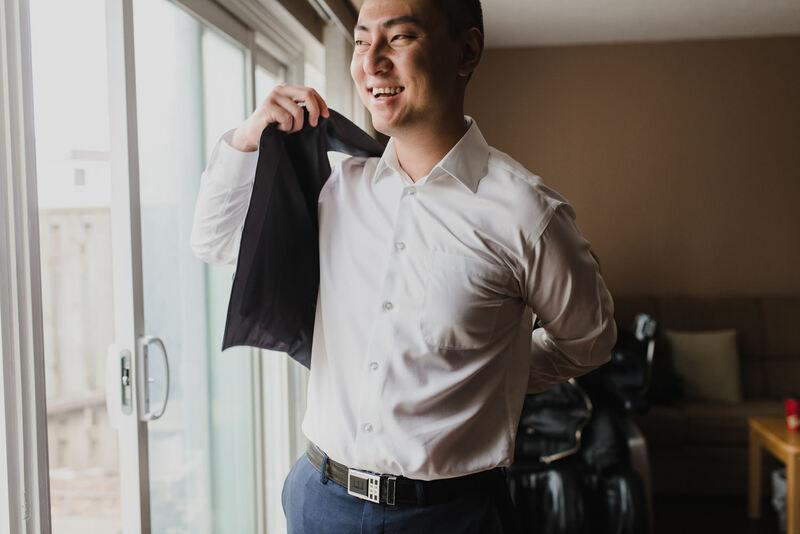 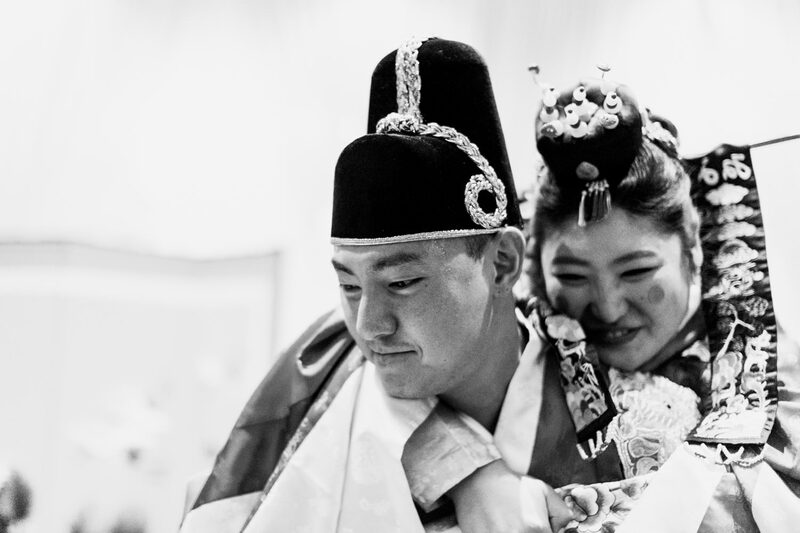 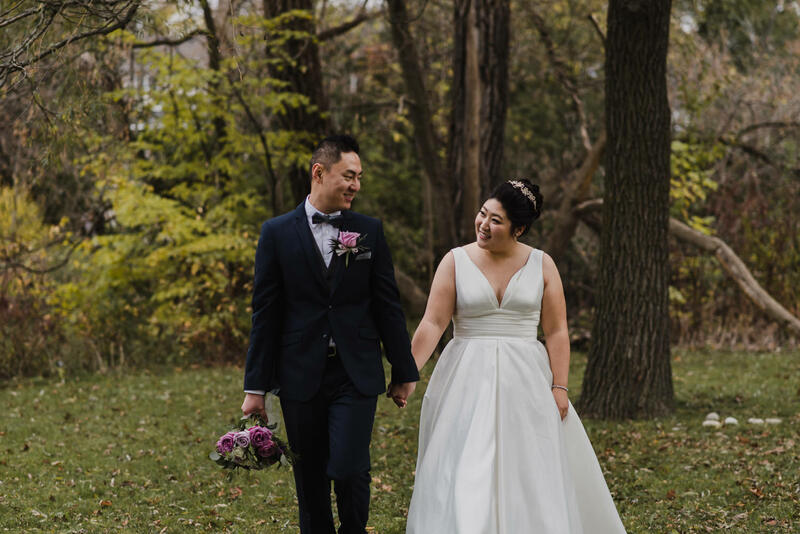 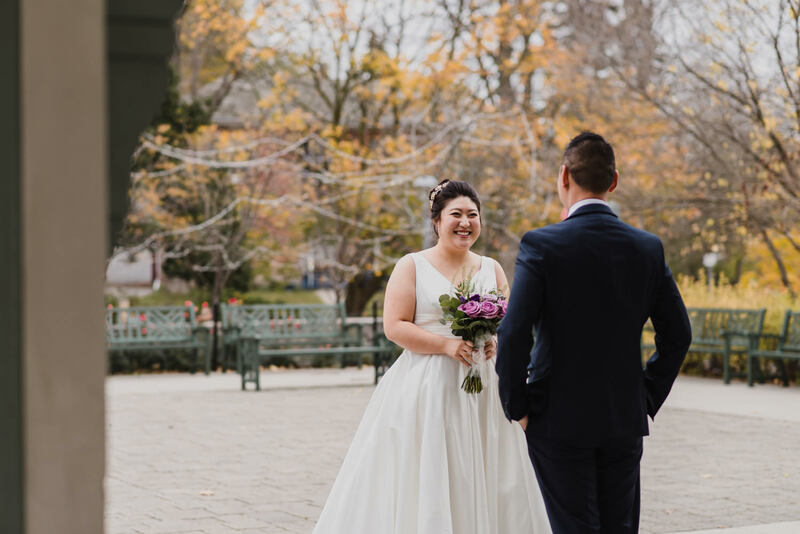 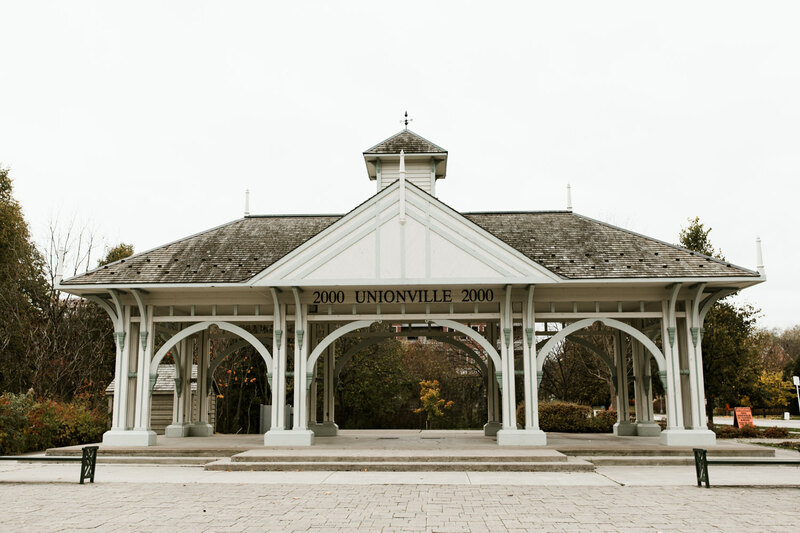 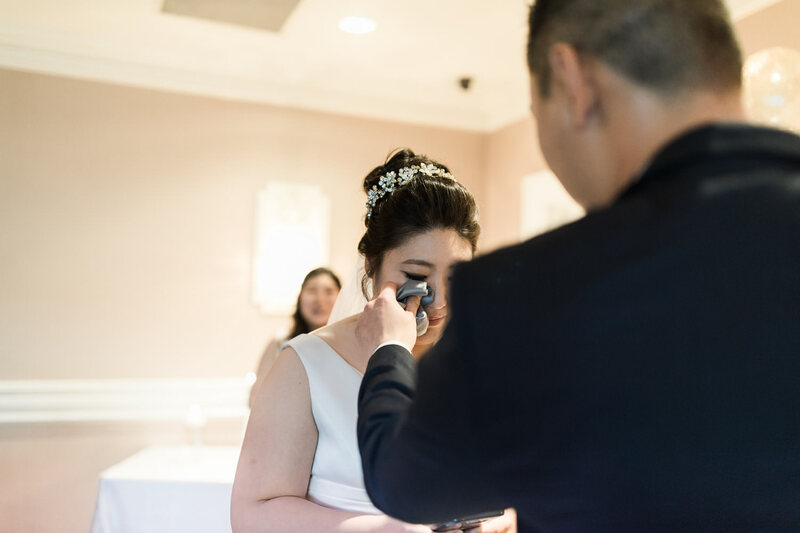 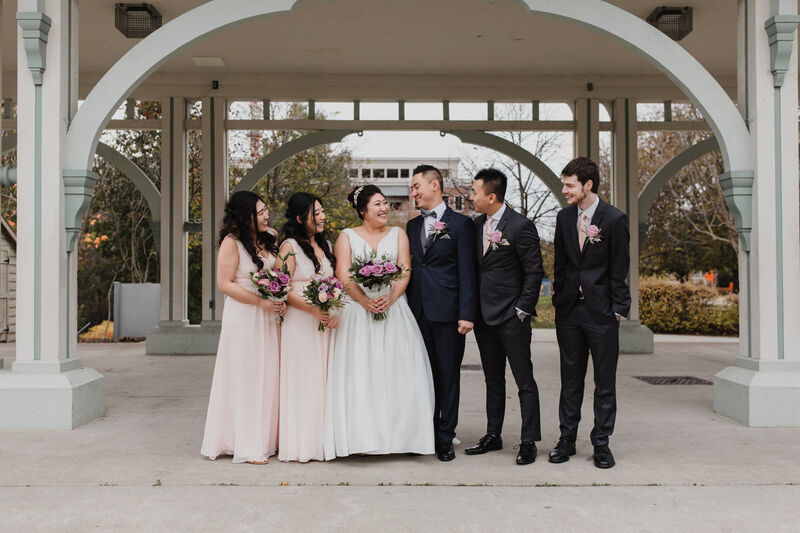 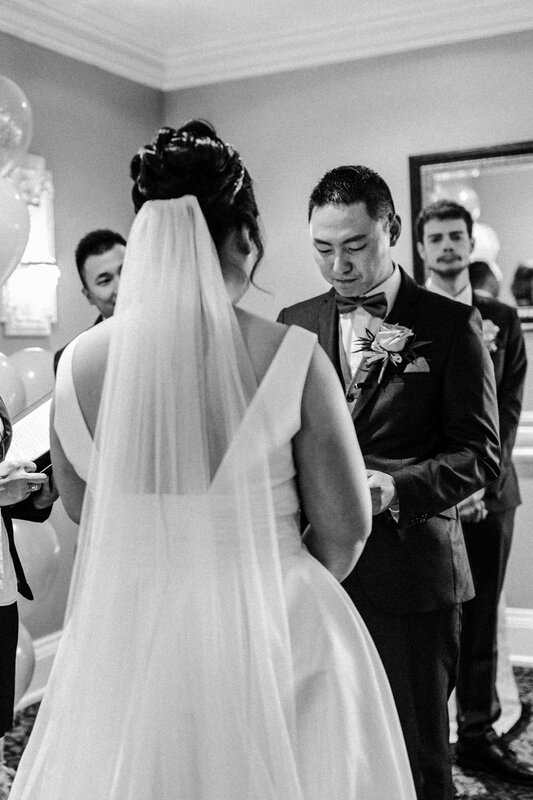 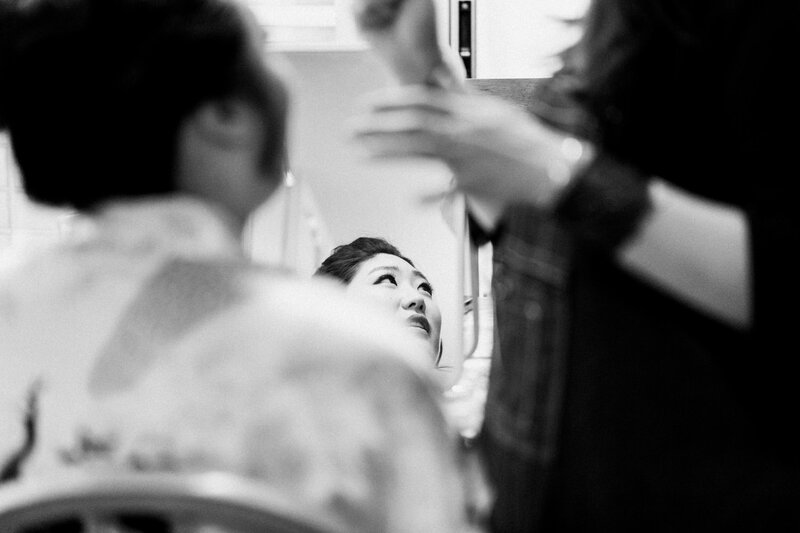 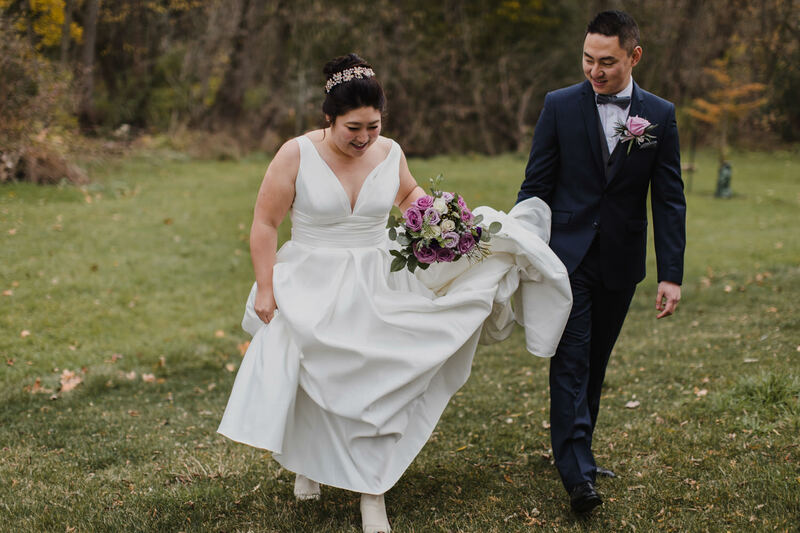 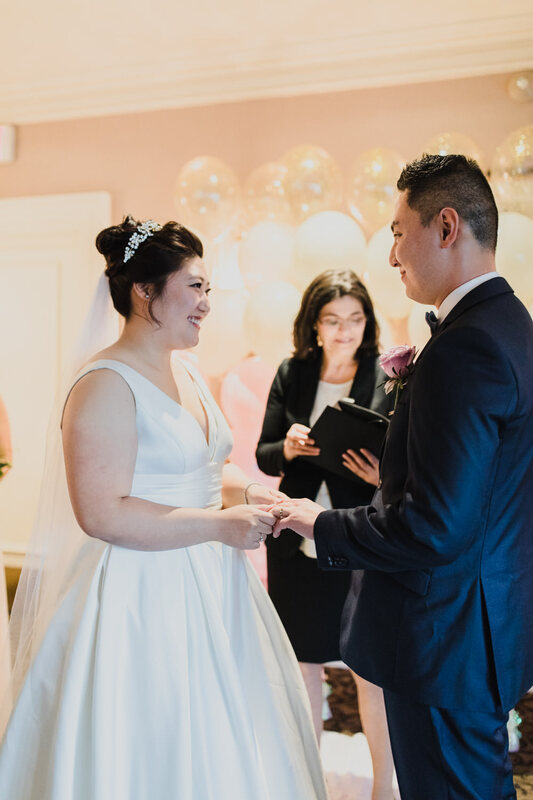 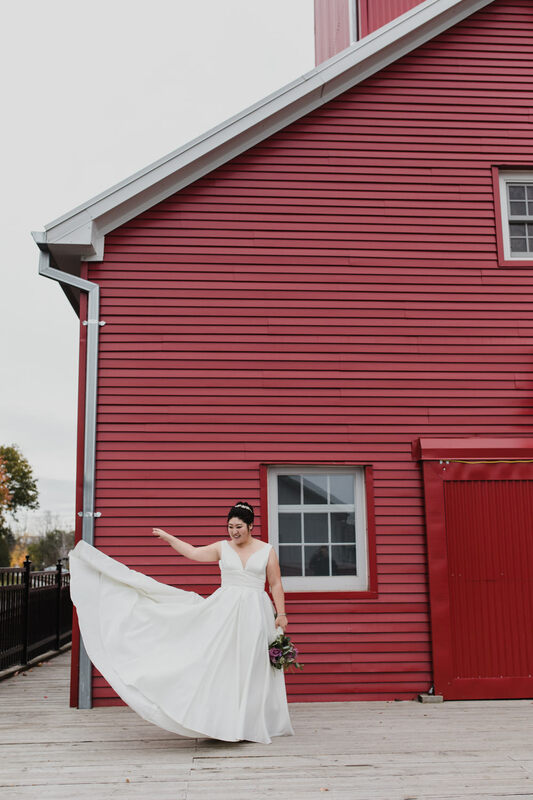 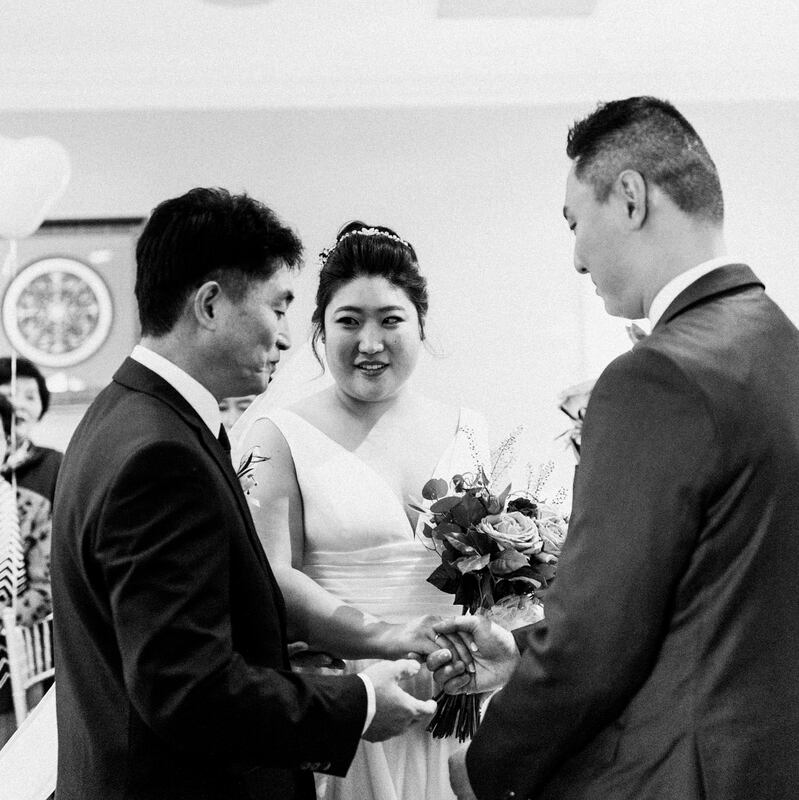 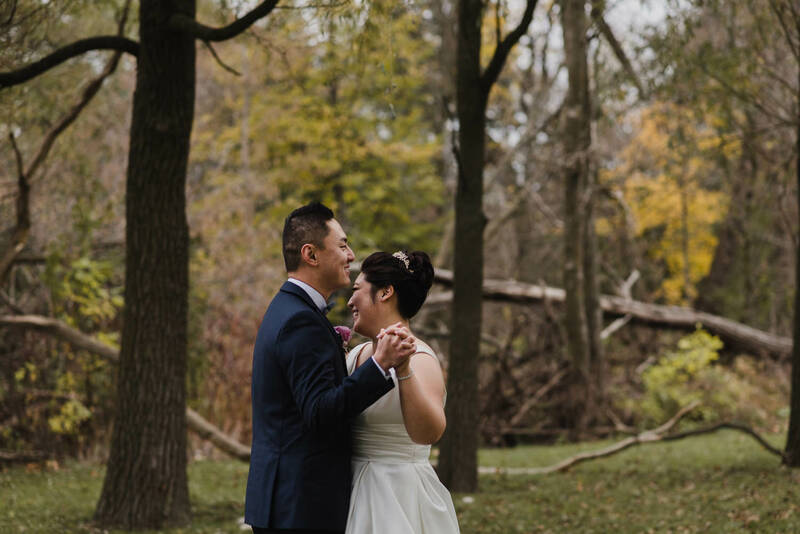 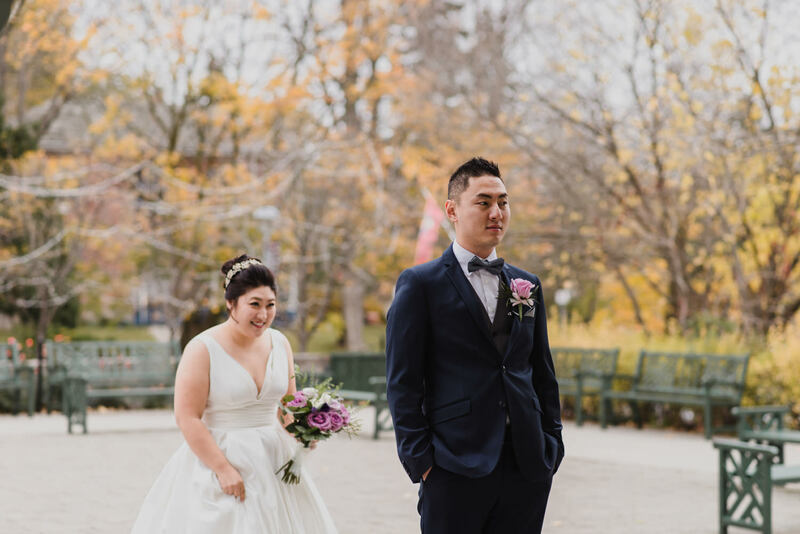 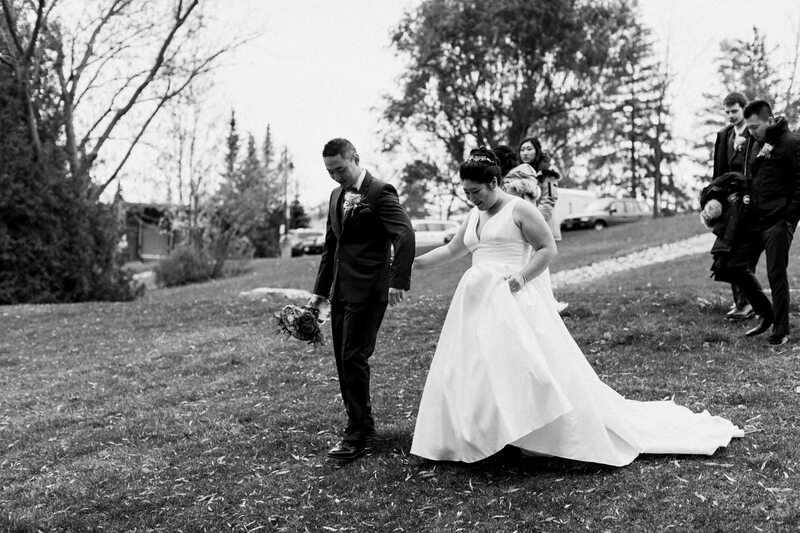 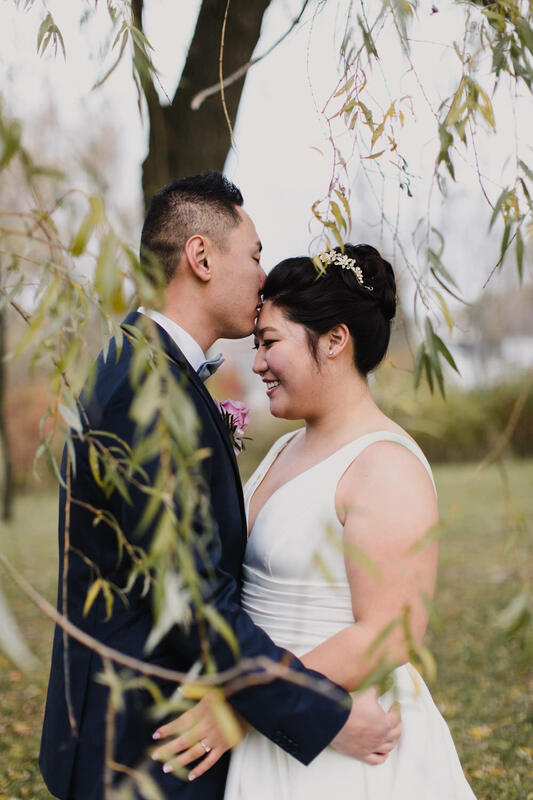 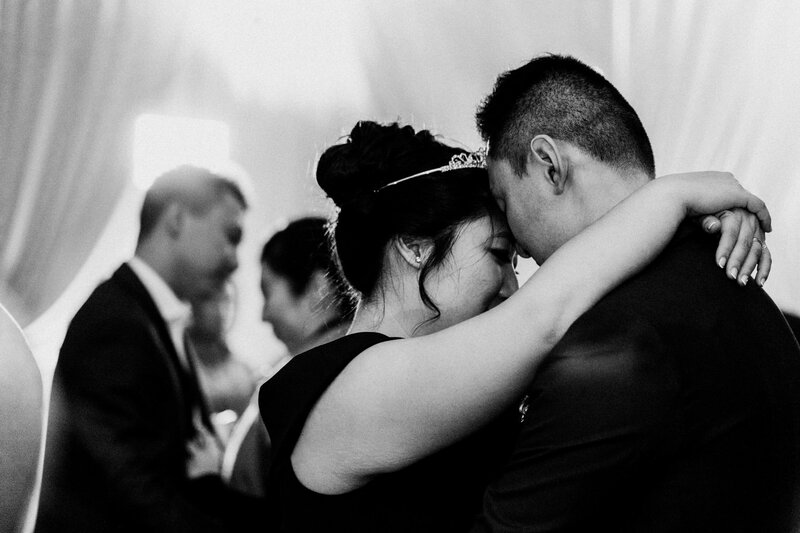 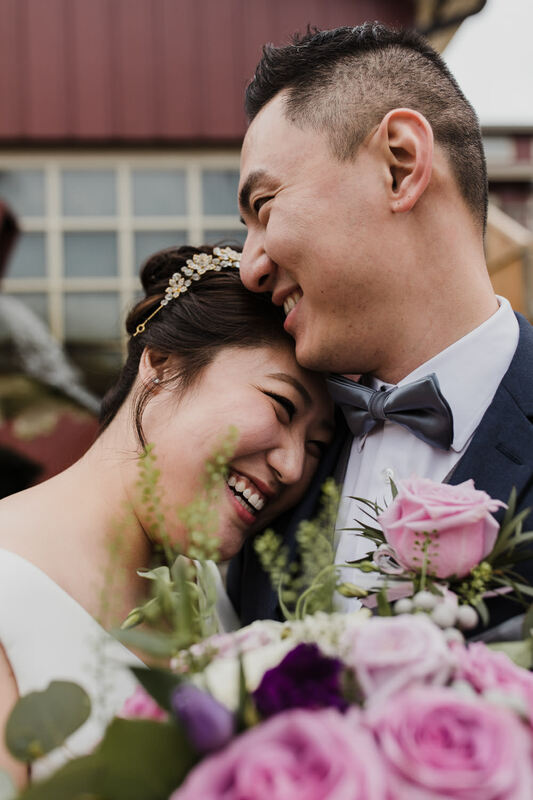 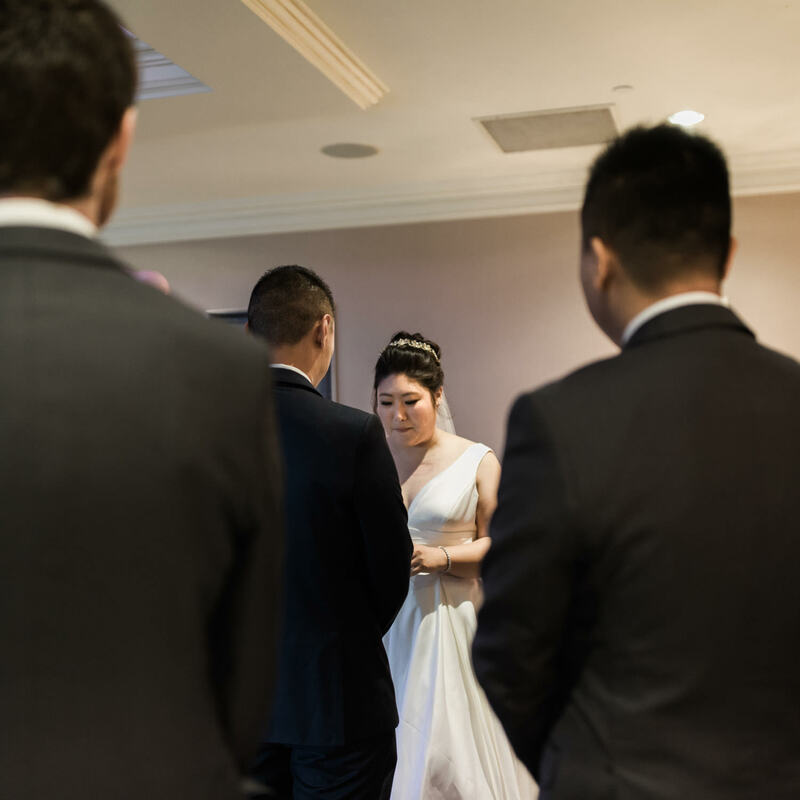 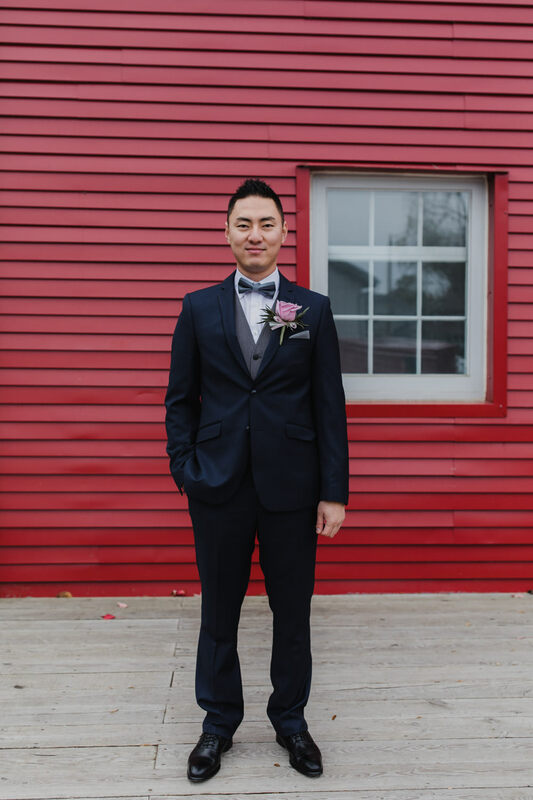 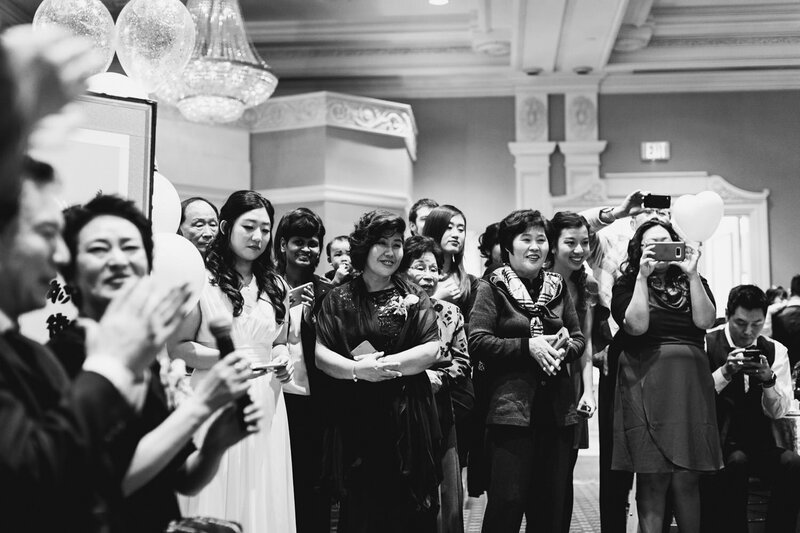 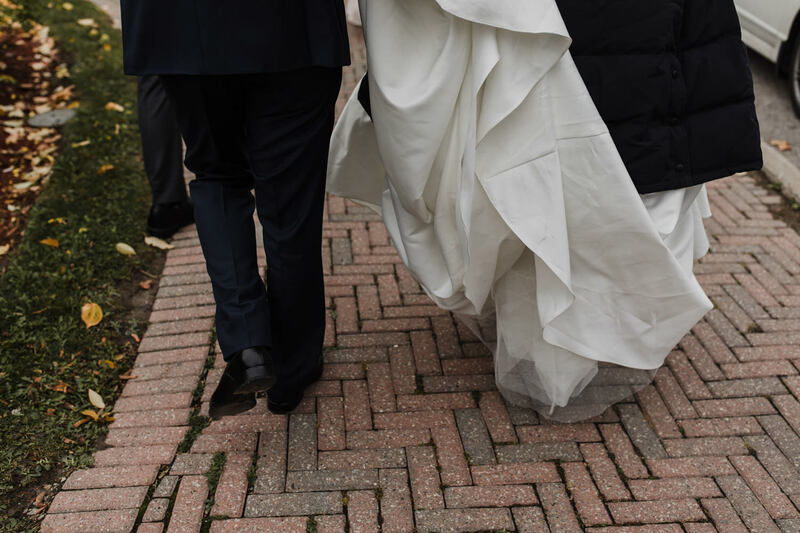 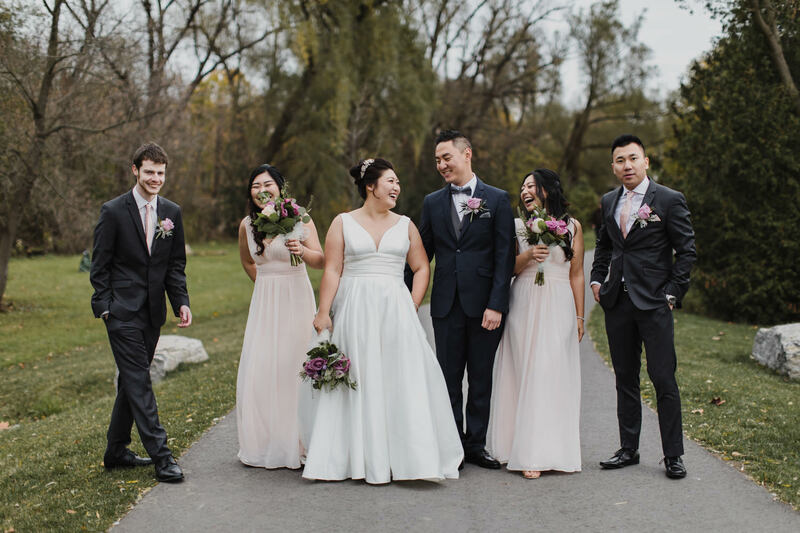 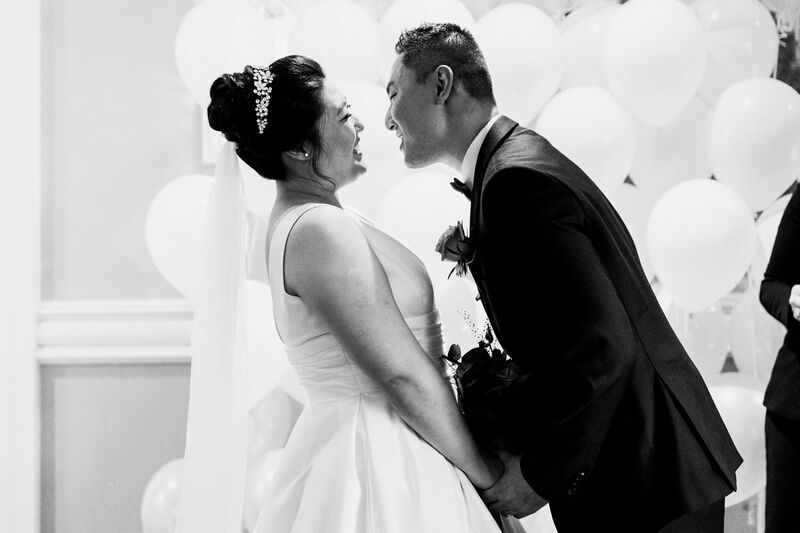 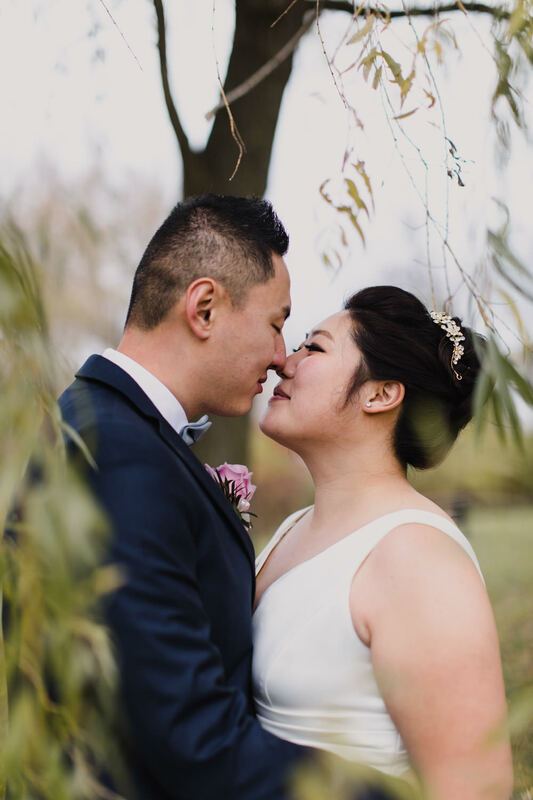 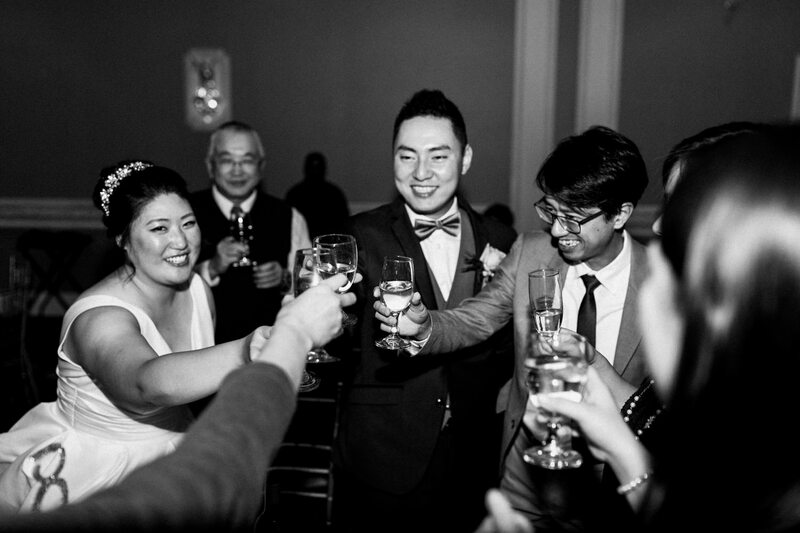 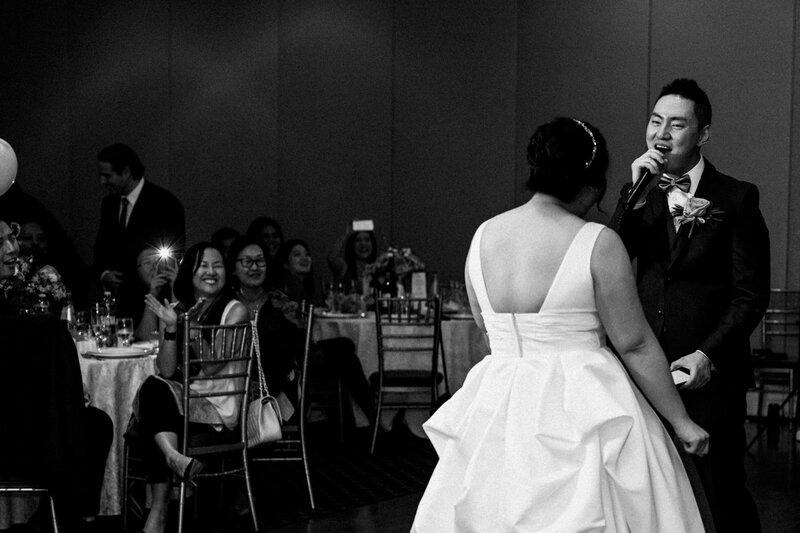 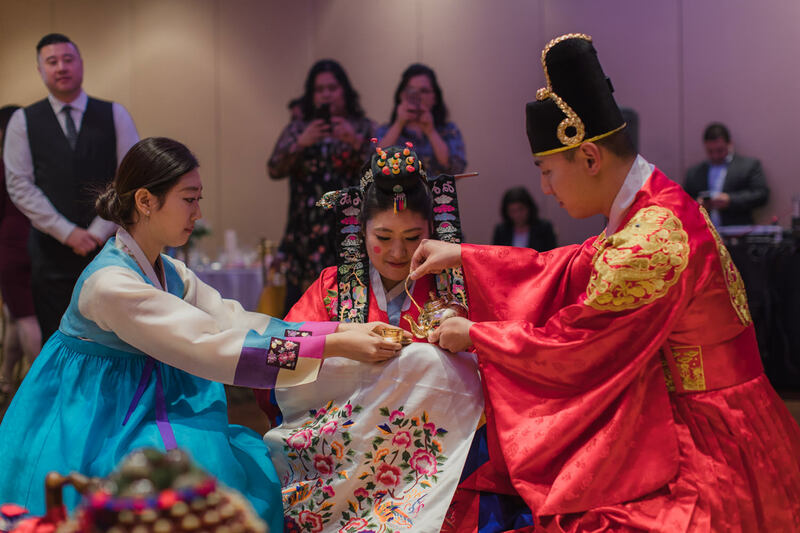 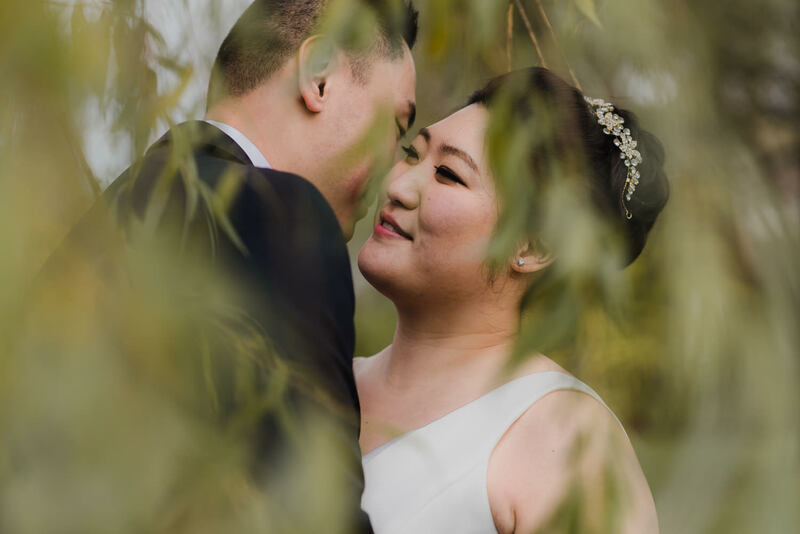 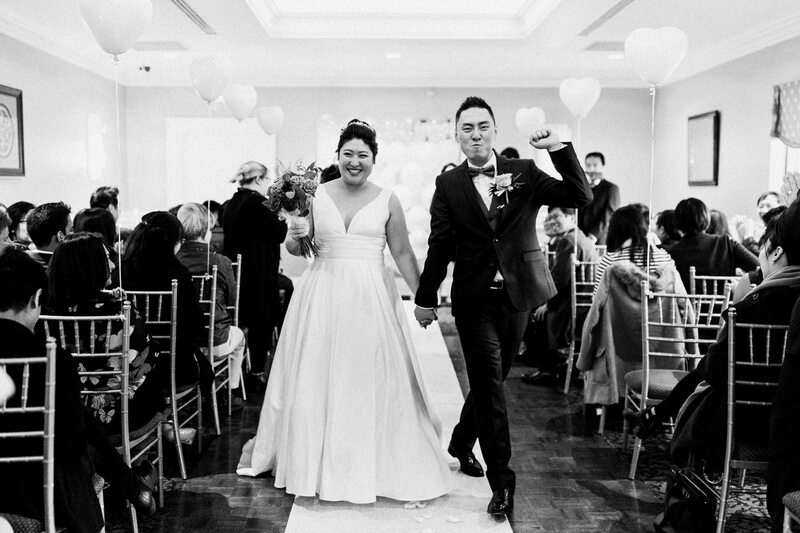 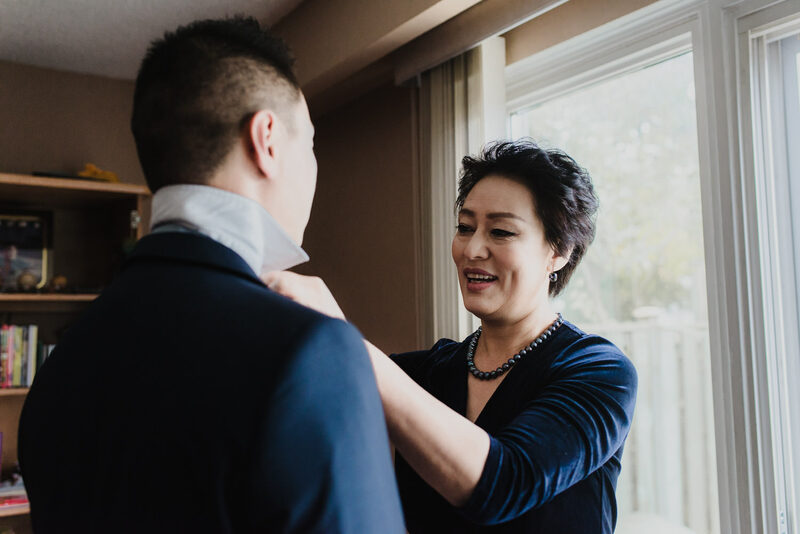 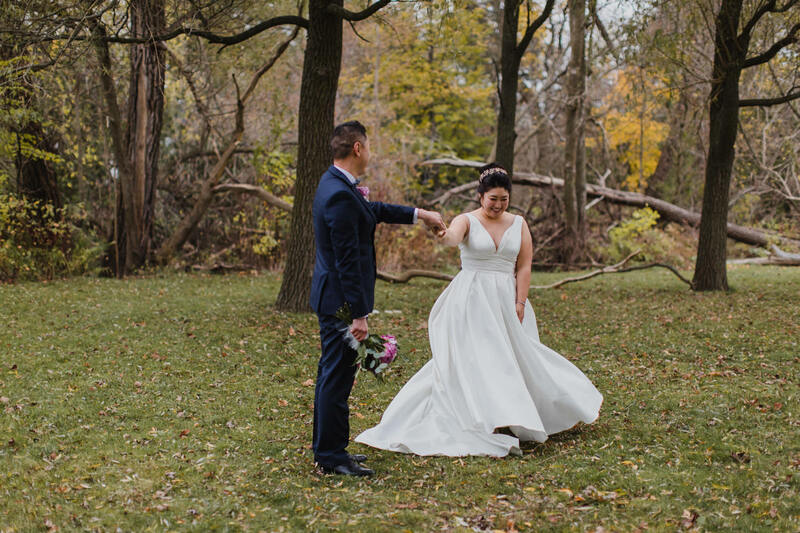 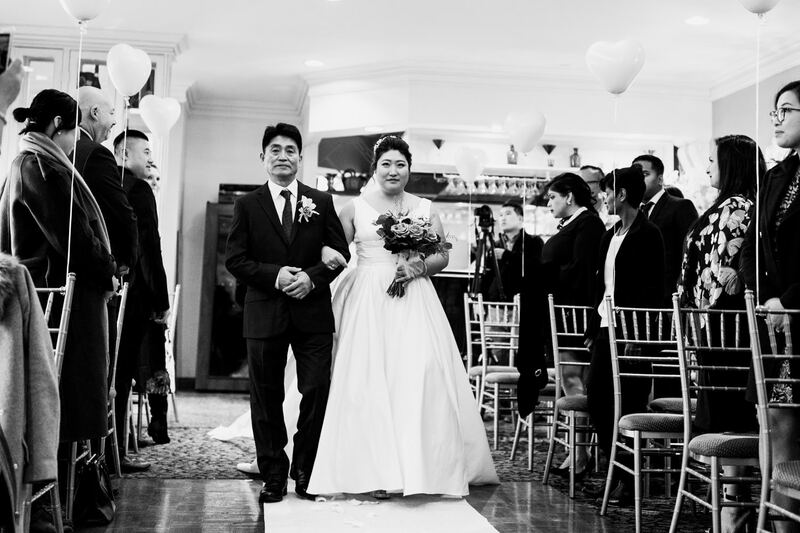 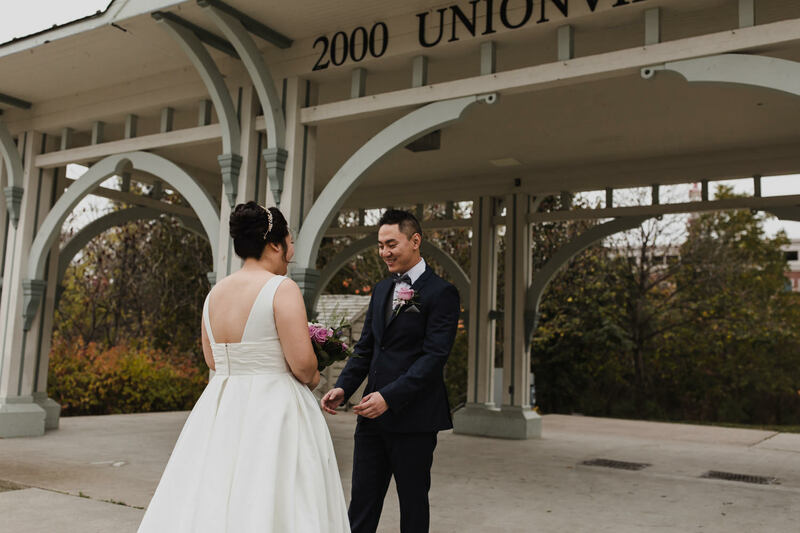 Sonya and Richard started their day with a Unionville first look & Paebaek Korean Ceremony in Vaughan. 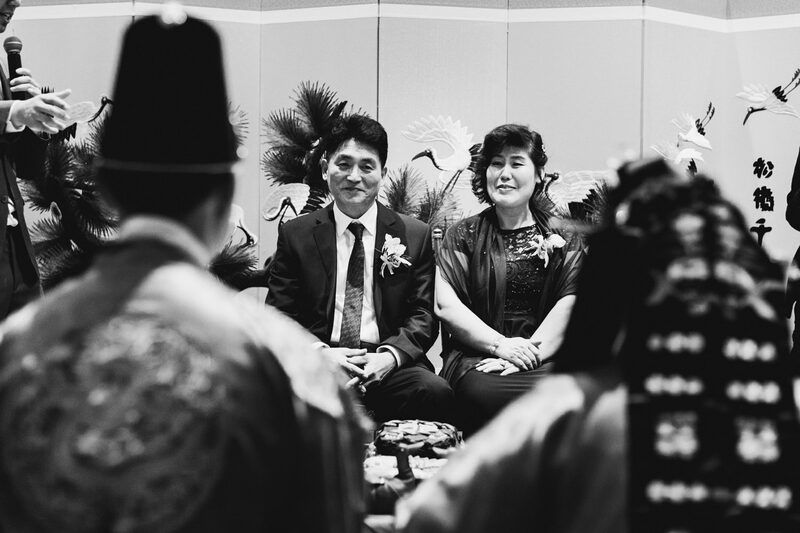 I was super excited for their Paebaek Ceremony as I’ve never seen it in person before. 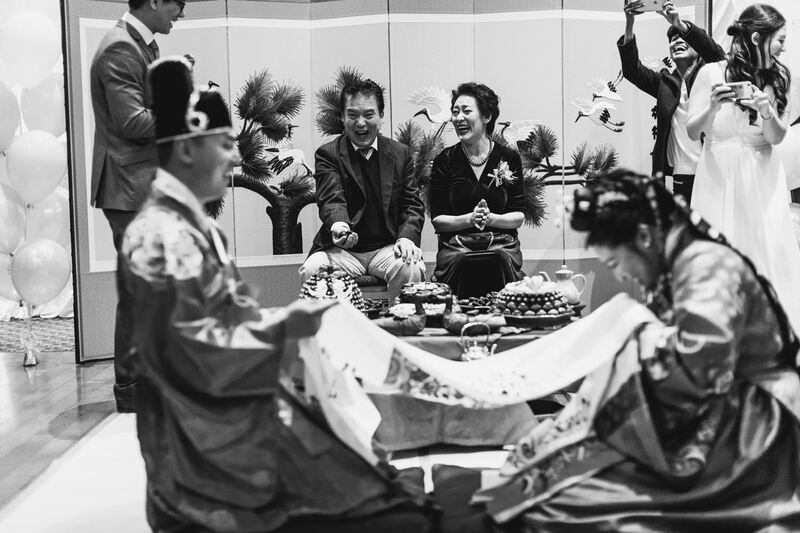 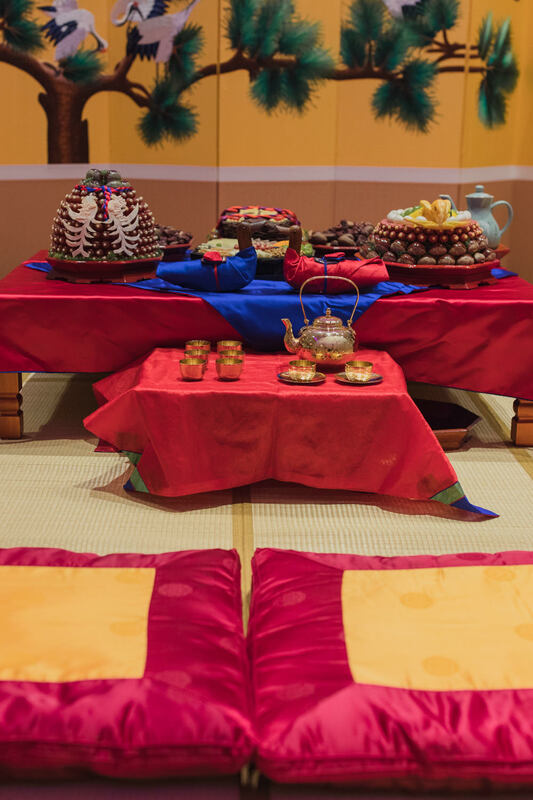 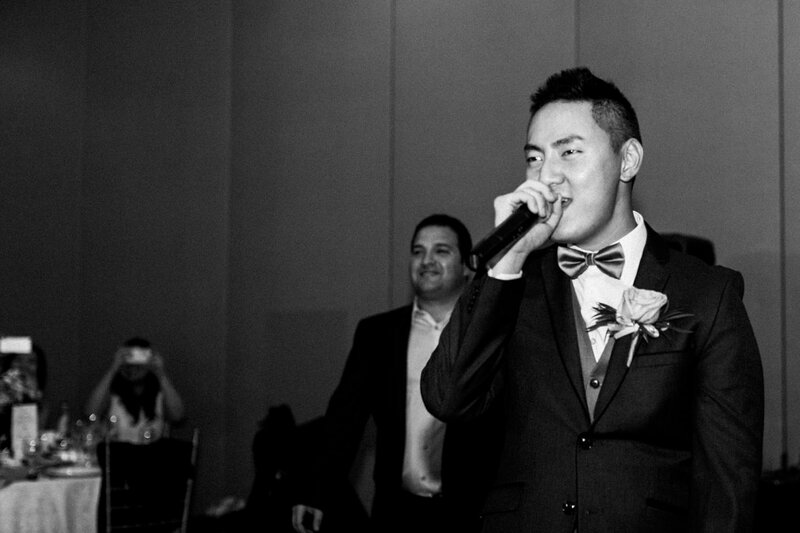 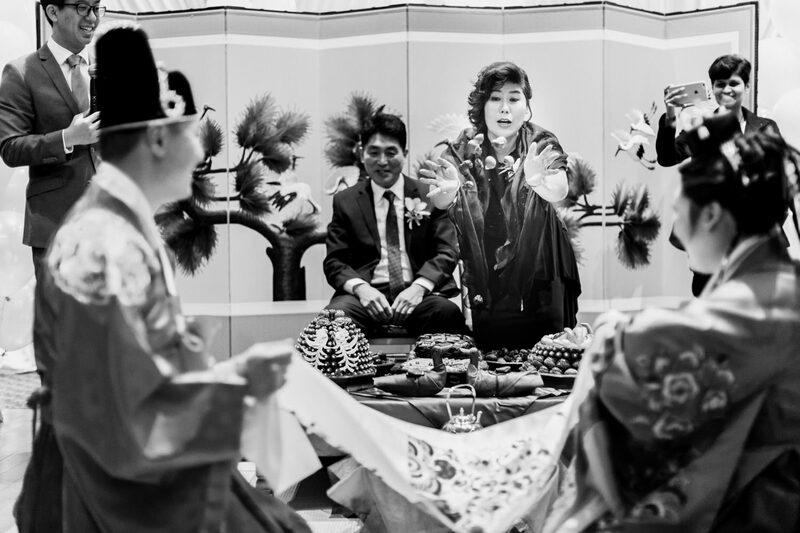 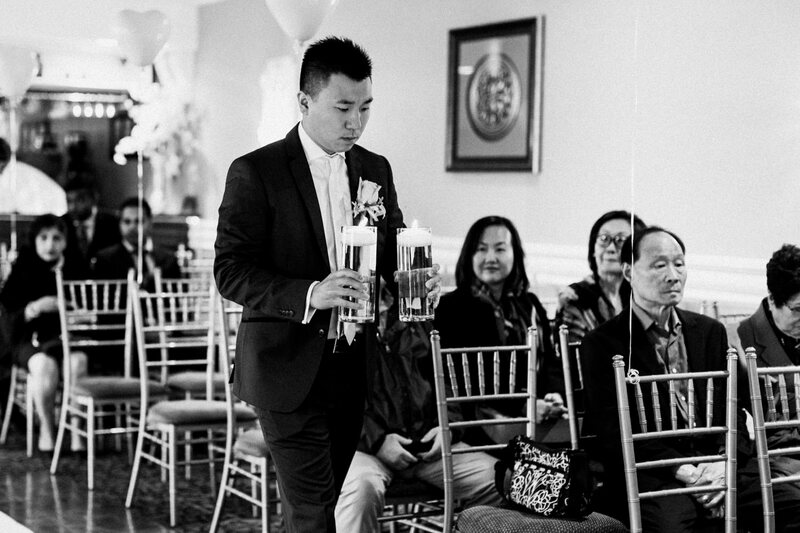 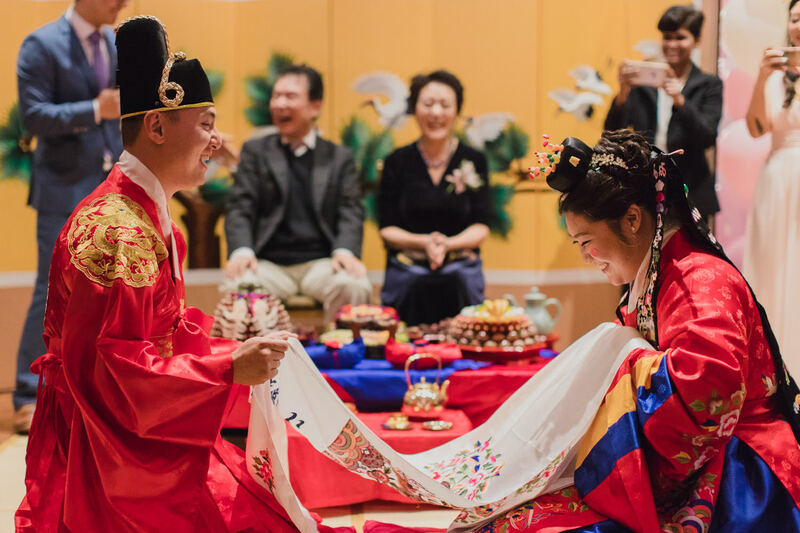 If you don’t know, Paebaek is a traditional Korean wedding ceremony. 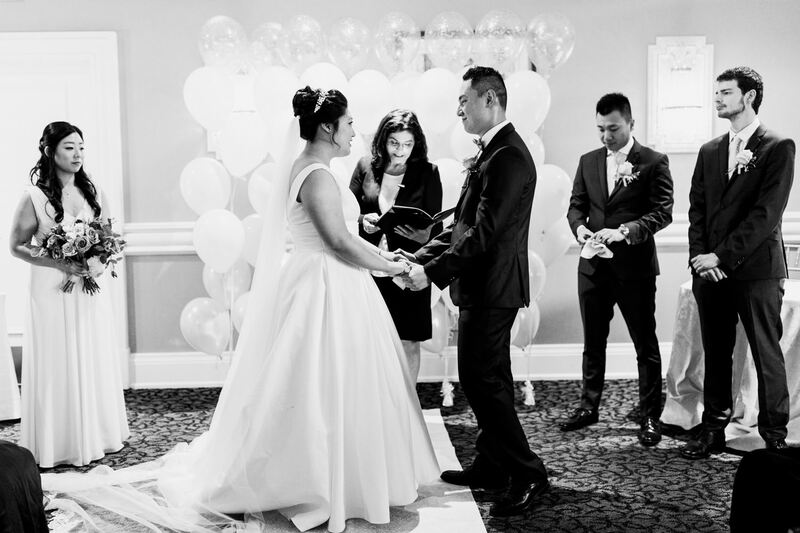 In this blog, I chose to show more black and white photos because I love the way they look! 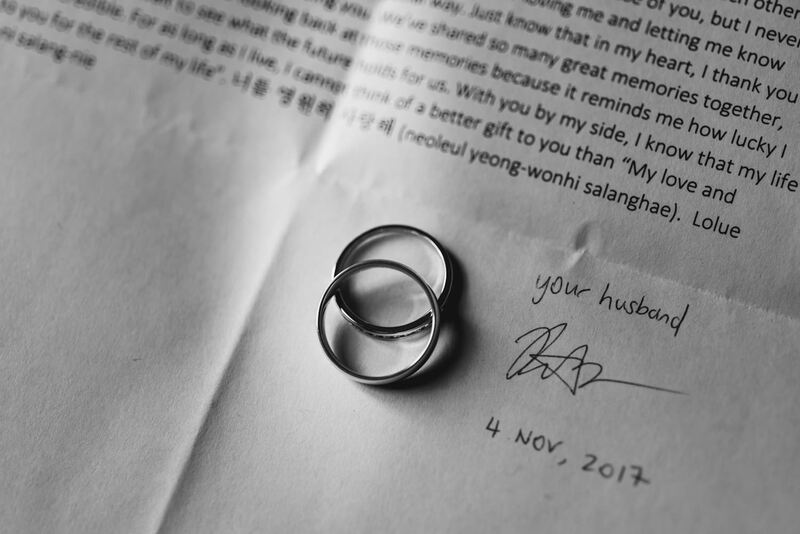 Also they look beautiful printed (if you have never printed black and white photo, you have to do it and hang it on a wall!! 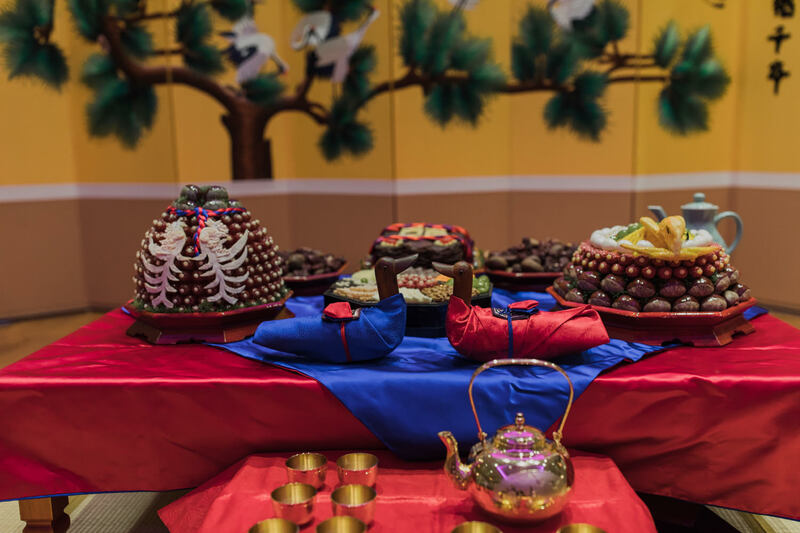 It seriously looks so good!). 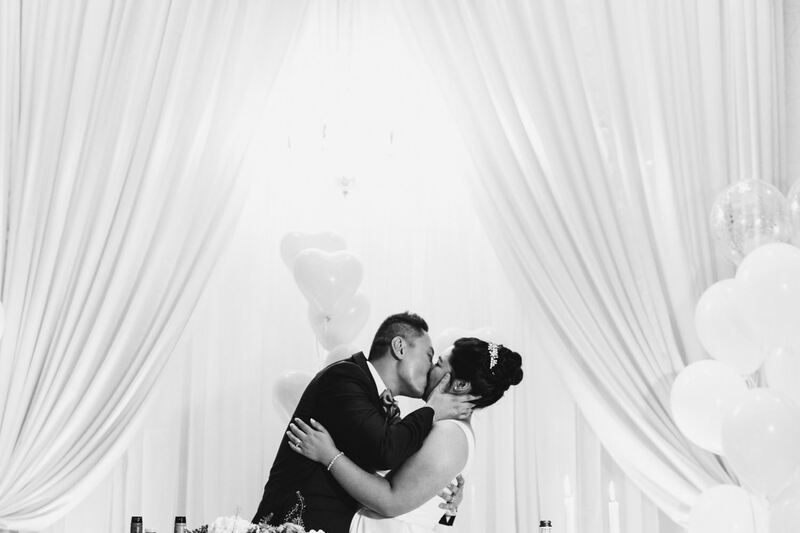 Typically, my couples will receive some black and white photos, along with the colour version if I think they both look good. 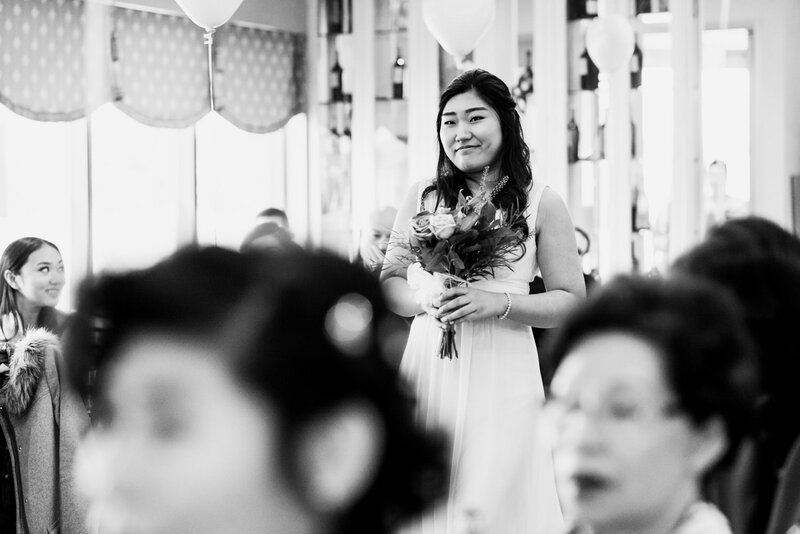 Sonya planned majority of the wedding by herself and in a short amount of time. 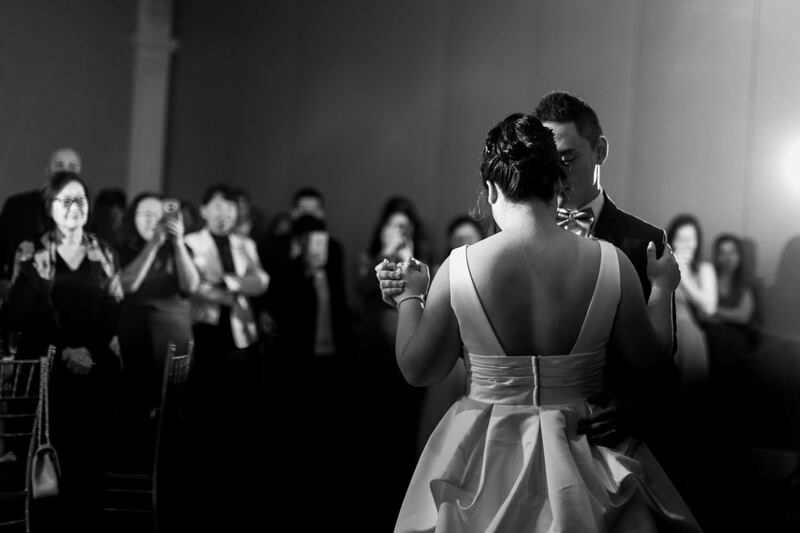 It was challenging doing this with Richard being away often due to his military duties. 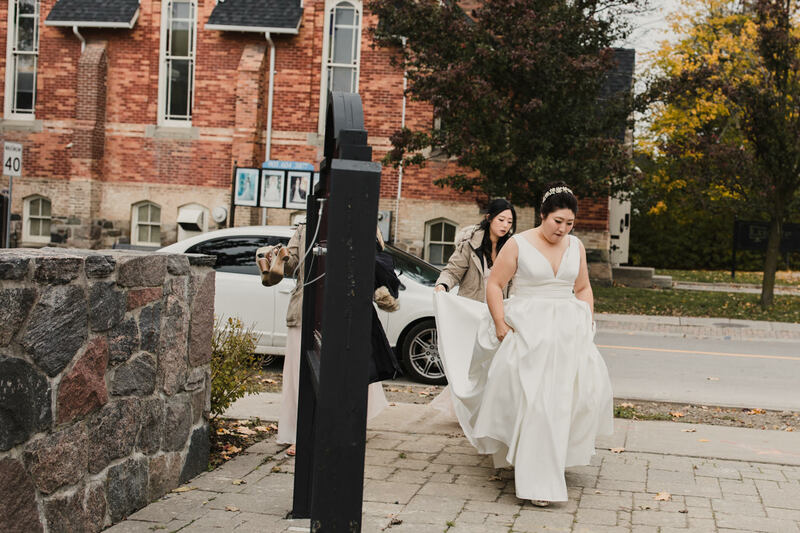 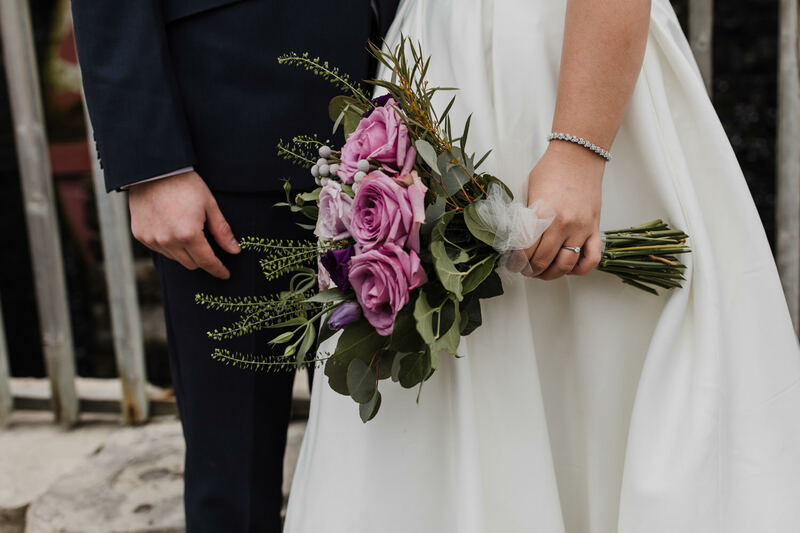 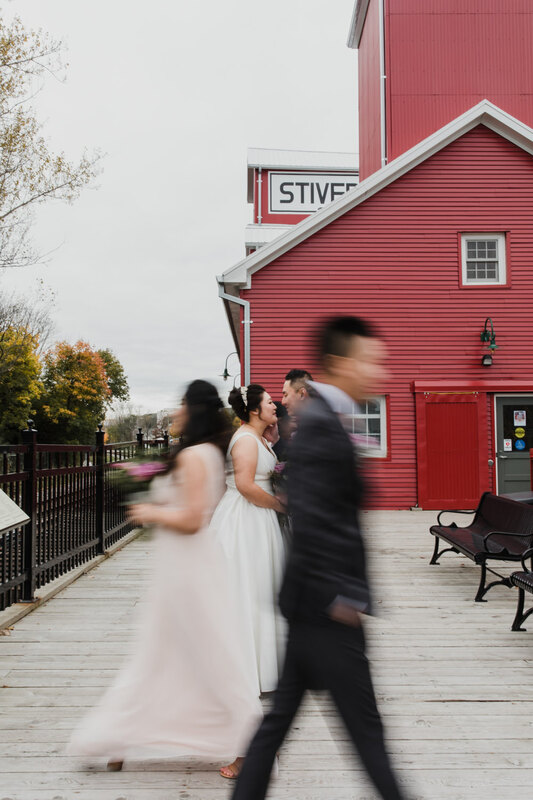 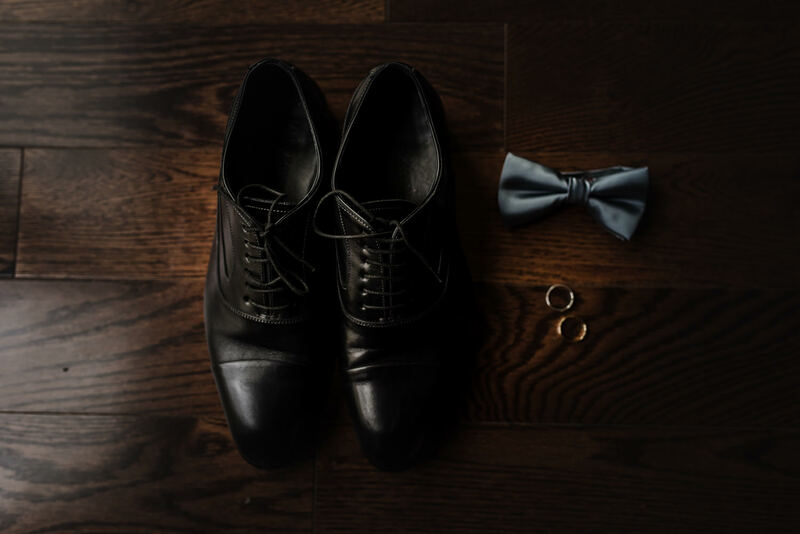 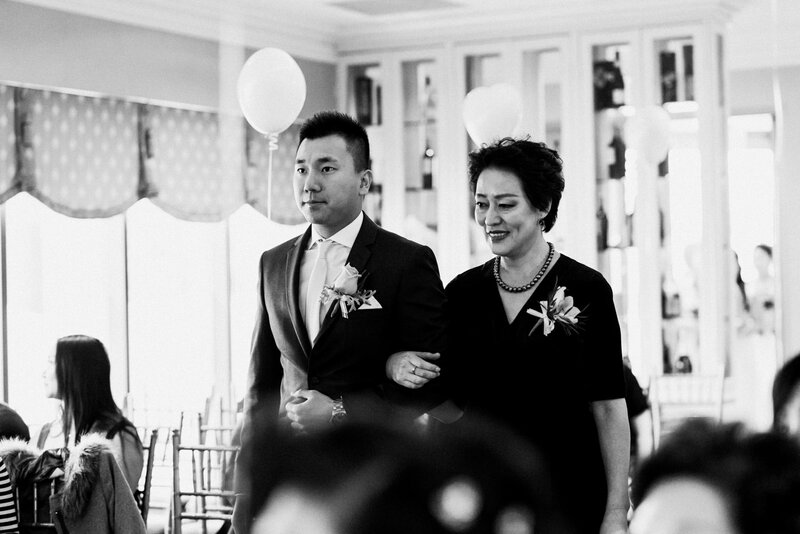 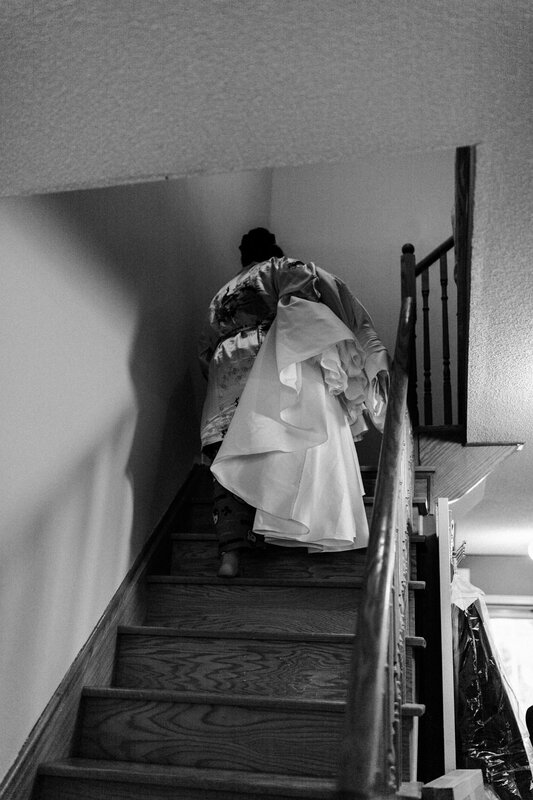 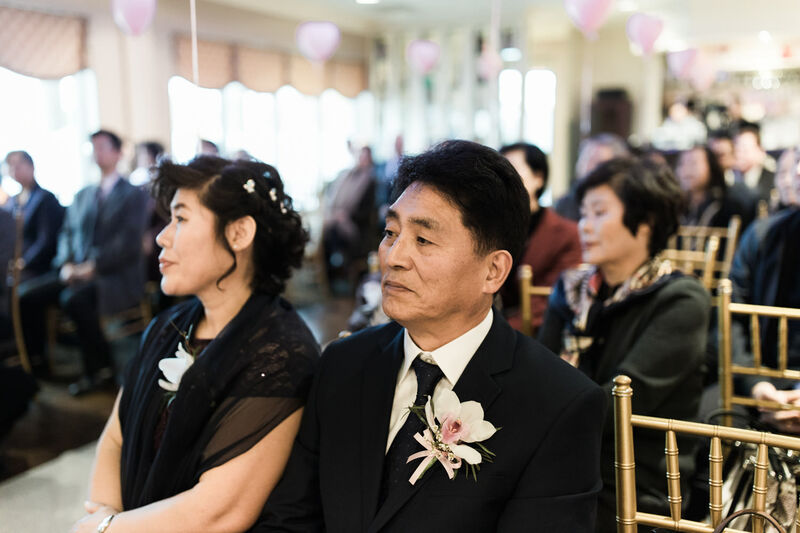 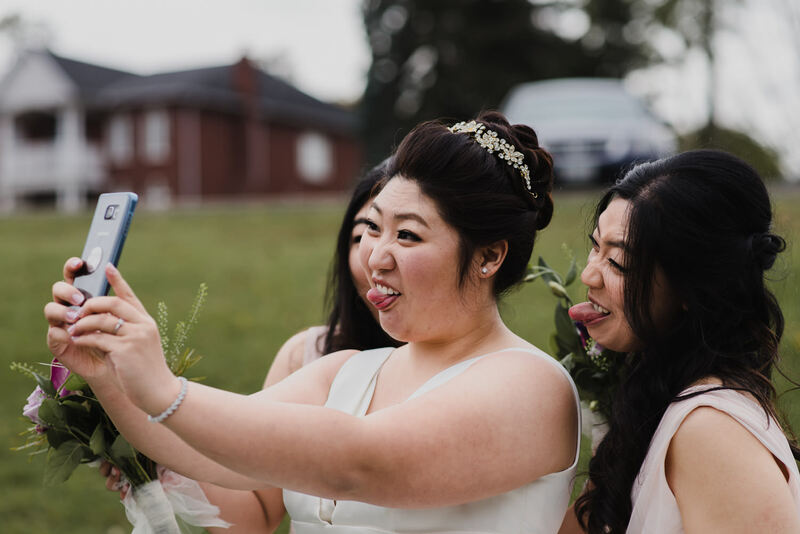 As well, Sonya sped up the wedding date so that her grandmother can join the celebration, but unfortunately her grandmother passed away before seeing Sonya walk down the aisle. 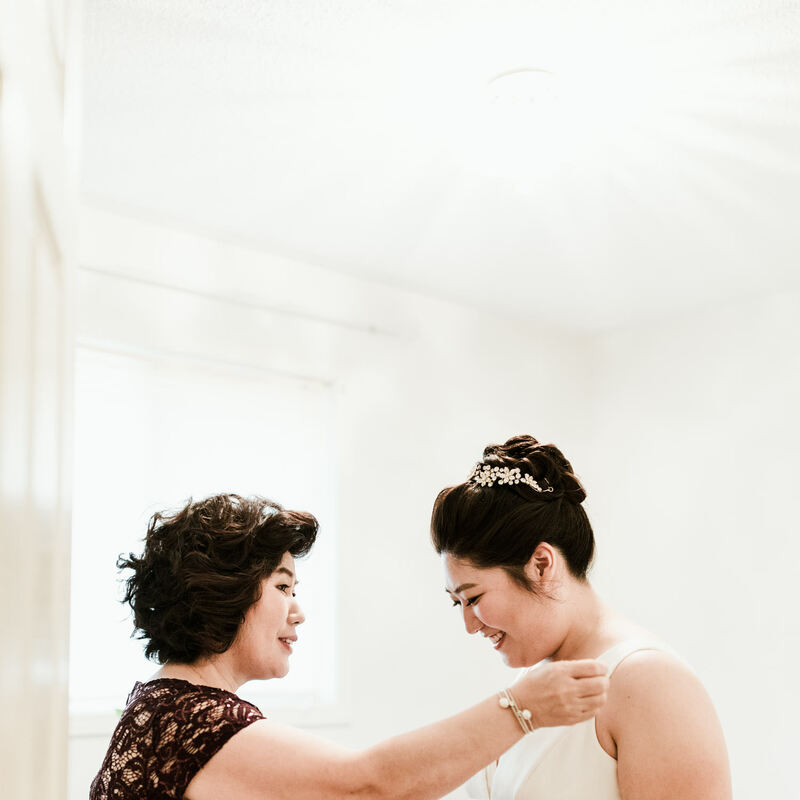 It was very clear from the beginning her grandmother meant a lot to Sonya. 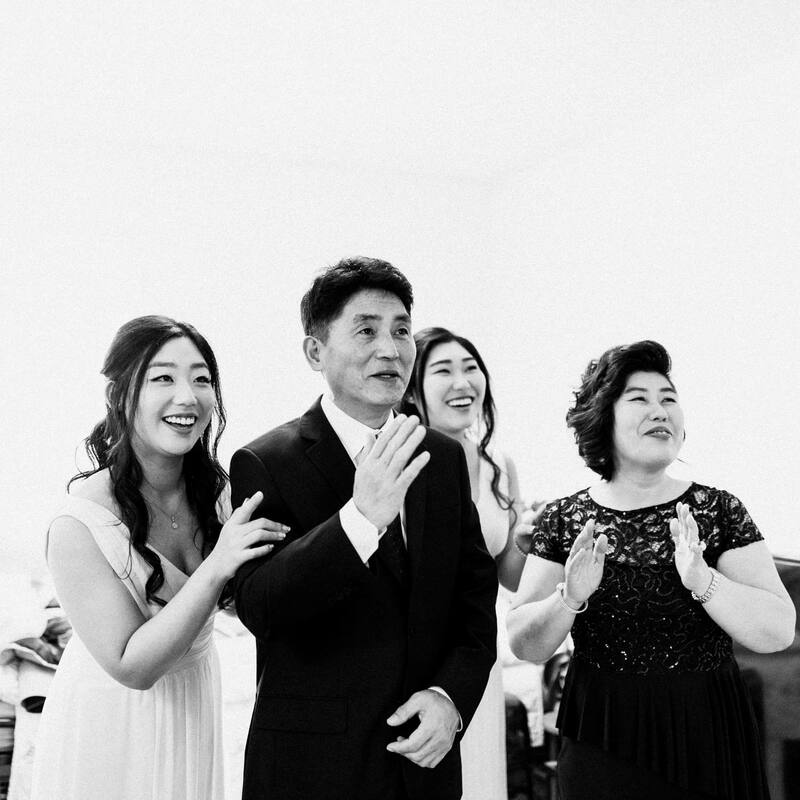 I can understanding, with working parents, sometimes grandparents spend more time raising their grandchildren and the bond you create is so strong. 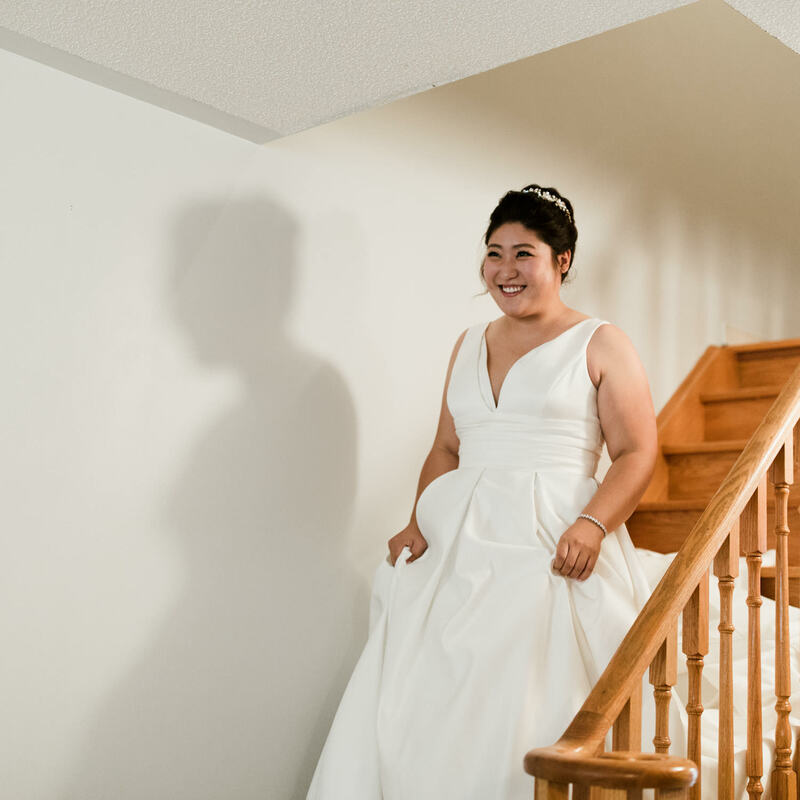 Thank you Sonya & Richard for allowing us to document this beautiful memories for you!